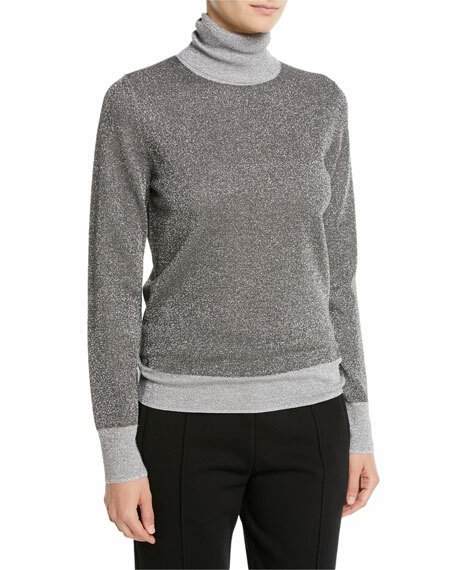 Lela Rose wool knit sweater with pointelle eyelets down center front, back, and sleeves. For in-store inquiries, use sku #2656975. 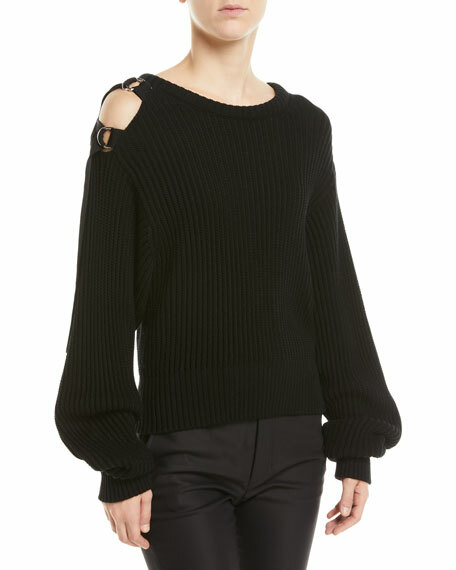 Etoile Isabel Marant "Koyla" sweater with button plackets at shoulders. Crew neckline. Long sleeves. Slim silhouette. Pullover style. Cotton/wool. Hand wash. Imported. Joseph sweater in metallic knit. Turtleneck. Long sleeves. Semi-fitted silhouette. Straight hem. Pullover style. Wool/metallic fibers/nylon. Dry clean. Imported. Model's measurements: Height 5'11"/180cm, bust 32"/81cm, waist 24"/61cm, hips 35"/89cm, dress size US 2. 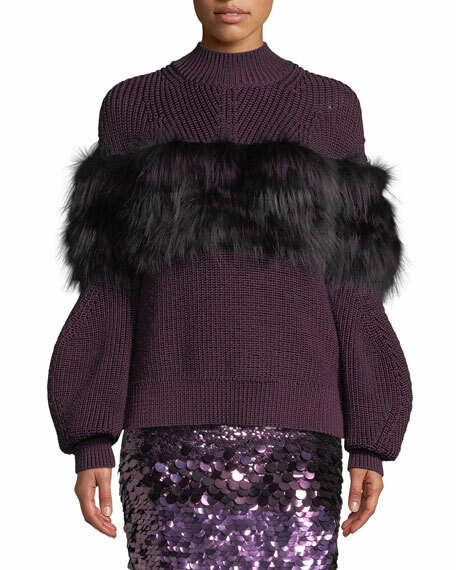 Sally LaPointe knit sweater with a dyed fox fur (Finland) panel. Turtle neckline. Long sleeves. Relaxed fit. Pullover style. Nylon. Imported of Italian materials.